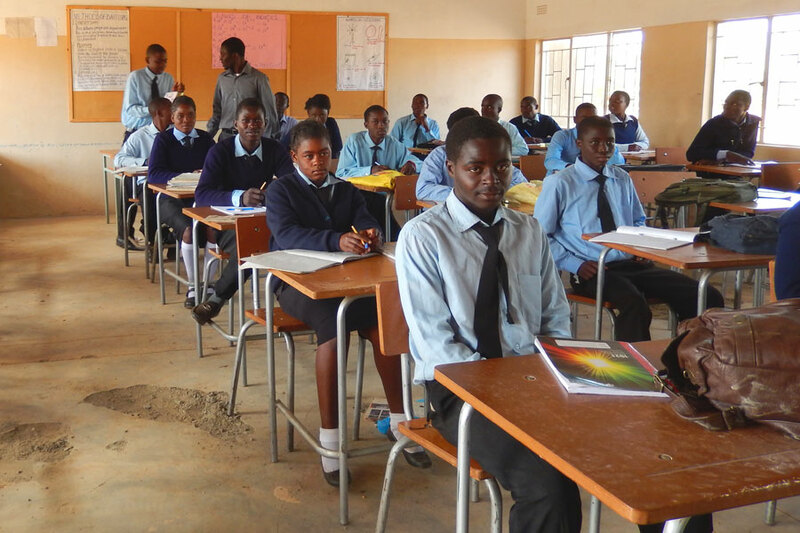 Mission Possible A to Z began as an educational mission to collect text and library books to supply a school of 700 orphans in the Chambishi area of Zambia. Various fundraising efforts raised enough money for the international shipping of 27,000 lbs. of books. Partnering with other organizations, book bags were made and a school supply package was prepared for each child. In the summer of 2014, Mission Possible convened a meeting with the administrators of the high school and primary school, a representative of the PTA, and Fr. Pierre Ruquoy, founder of the Sunflower Orphanage; the first of its kind out in the bush in Mulungushi Agro. The objective was to assess resources and needs, as focus groups from each entity established priorities to present. A community library was listed as one of the top priorities. In 2013 and 2014, team visits to the schools made us aware that books and supplies are non-existent. There’s not even 1 crayon at the primary school, and walls are bare except for old slate chalkboards. Students attend only half-days, because the schools are too small to accommodate all the children from the surrounding villages. We met a few children who have a 3 hour walk to get to school. Mission Possible A to Z’s goal is to construct a library in a central location, with computers and internet access, fill the library with books, and provide supplies for the teachers. The price of books is 4 times what we pay in the USA for the exact same ones. The total cost of this project is estimated to be $50,000. Sanitation is extremely poor, with only 4 outhouses for the 700 children at the primary school, and a long walk to the closest pump to wash their hands. The situation at the high school is not much better. A plan to improve these conditions is also being considered. 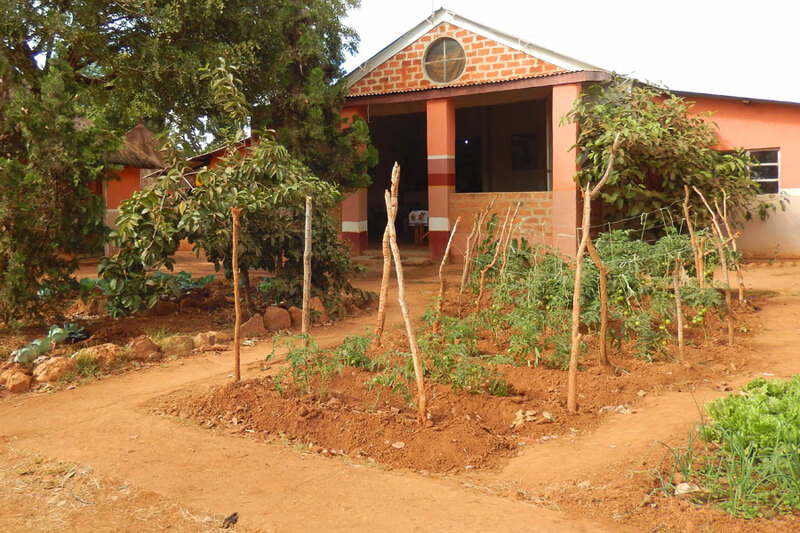 Mission Possible A to Z’s support of the Sunflower Family Center Orphanage has fostered the beginning of a small farm. The funding of the chicken house and the purchase of chickens provides an egg per day for each child. Our tilapia aquaculture project experienced the first harvest in June 2014. In the future, our desire is to build another pond in order to have enough fish to feed all the children, plus additional for market. In 2014, a pilot planting of 100 seedlings of moringa trees was started. The moringa trees grow to maturity in 1 year and their leaves can be harvested, dried, and used a food supplement for the Sunflower Orphanage. The nutritional content of these leaves exceeds any known plant on earth; containing an abundance of protein, complex carbohydrates, fiber, vitamins and minerals. If our planting of these seedling is a success, we will seek funding for The Sunflower Family Center Moringa Tree Farm. With start-up capital, it could lead to a commercial processing business to provide employment and future economic growth to the area. In 2015-2016, our focus will be to seek grant funds for a farm tractor and high tunnels. These large fabric-covered frames are the answer to year-round crops with optimum growing conditions. This technology will provide vegetables and fruits for the orphans’ diet, and be a training center for subsistence farming for the surrounding communities. 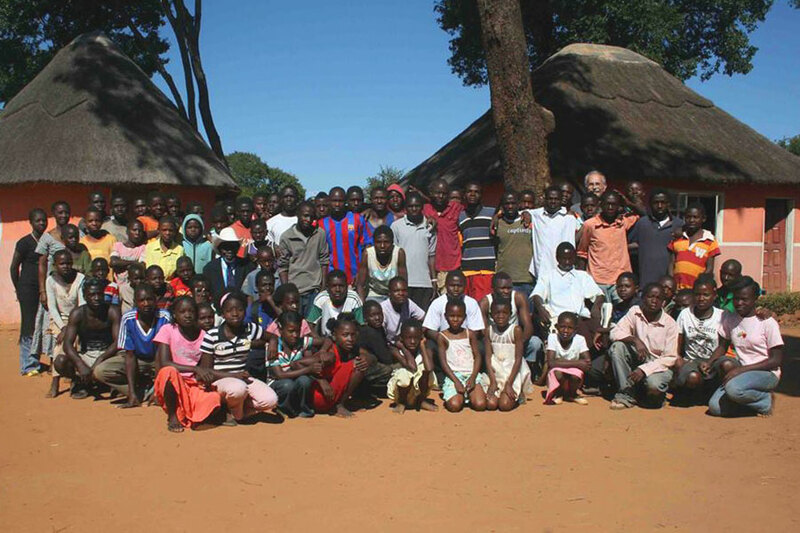 A visit in 2013 and again in 2014 to Rivendell Farms in northern Zambia, provided the expertise and spark to pursue a beekeeping/honey producing cooperative in Mulungushi Agro. Our initial financial support of this enterprise will provide long-lasting income for each participant. A presentation to the representatives of the 300 farmers in the area yielded many smiles and handshakes! Clean water is life! Our teams have witnessed first-hand the struggle for clean water and adequate sanitation, and it’s heartbreaking. Mud puddle water is often the only source available, and water-borne disease is a major cause of death in infants and young children. An exciting prospect to purify water is the moringa seed. When pulverized, the powder from these seeds will purify water to a bacteria-free level of 99.9%. Getting the moringa tree farm to full capacity and having an abundance of seeds for purification will be a key factor in reducing infant mortality. This burdensome chore of finding water is the daily responsibility of women and children, walking for hours with a 5 gallon bucket on their head, and many children do this instead of going to school. Mission Possible A to Z has raised funds in the past that financed the drilling of two wells, and the expansion of one of them. In 2013, the well at the village high school went dry due to on-going drought conditions. For every $10,000 raised, we can drill another well. Without the availability of wells, crops wither, livestock die, and people suffer. We hope to raise enough for at least 3 more wells throughout 2015-2017. The Sunflower Family exists solely on the contributions of donors, and the sustainable projects developed by supporters, such as Mission Possible A to Z. 27 Belgians, 3 French, and 10 Americans are the current sponsors of 40 of these children. Most American sponsors have been members of the Mission Possible A to Z Team, and have a personal bond with the children. On-going support of a child is only $40 per month. Our hope is that someday, every child will have a sponsor family. These sponsorships provide food, shelter, medical care, clothing, and pay the tuition to attend public school. Some of the older children are hoping to follow their dream of becoming a nurse, teacher, welder, or electrician. General donations to the higher education fund will go to support the tuition at a university or trade school for these young women and men.